Visual novels are a niche genre of video game that still hasn’t gained much traction in terms of wide appeal. It’s quite easy to see why, as these games forego the proper conventions of gameplay and instead try to craft a choose-your-own-adventure story that can often take hours to see through to one of many conclusions. Typically the ones that I personally go for have a gameplay hook, such as Phoenix Wright, to keep my interest. Otherwise, it better have an amazing story that I can’t find in another medium. This time, I took a gamble and felt it’s been long enough since my last visual novel (Steins;Gate 0, which you can read my previous thoughts on here). The folks over at DEGICA were kind enough to provide a chance to review their latest release on the Playstation Vita, Nurse Love Addiction. If you’re looking for a pure experience, be forewarned: there are a few minor spoilers within. Centered around a young girl with the attention span of a jellyfish, Asuka Osachi, and her younger sister Nao, both new recruits to nursing school after having just finished up high school. 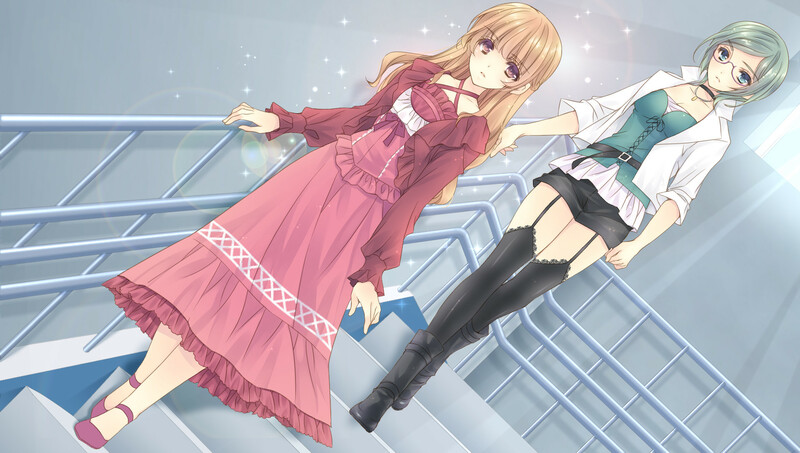 Joining her are an elegant ‘princess’ named Sakuya and her girlfriend, Itsuki. The last notable character is Kaede, their homeroom teacher. 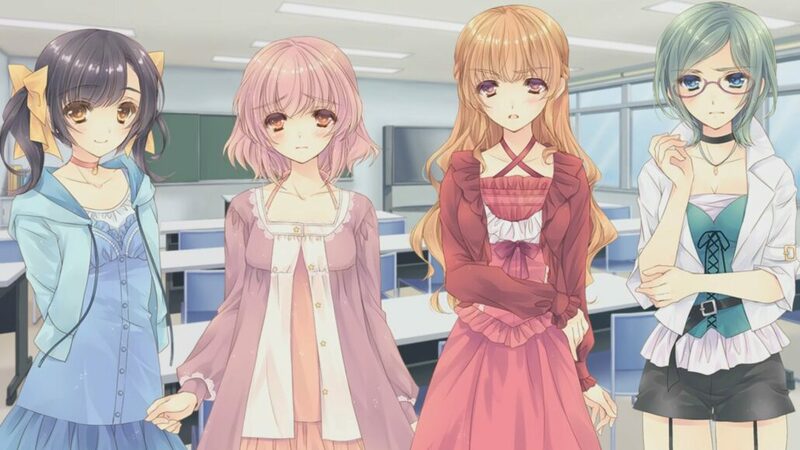 It’s a fairly small cast for a romance-centric visual novel, but it truly gives each of the girls their own story arc and plenty of attention to their motivations and quirks. Nurse Love Addiction’s pacing feels a bit on the slower side when it comes to other visual novels. Steins;Gate started off the same way, but that one dug its hooks into me and took me for a wild ride that didn’t end for hours. This one, on the other hand, takes some dedication to make it through the opening. If you’re interested in nursing as a career choice, there’s a fairly expansive info dump regarding Florence Nightingale and some of the daily tasks that nurses go through to tend to their patients. However, buried somewhere in between learning how to change bed sheets and discussing past romances is a unique link that binds the classmates together. Admittedly, I didn’t know such a chain existed to Nurse Love Addiction until I finally had the chance to play the recently released Vita port. I anticipated a nice relaxing visual novel to unwind before bed, something that would be a welcome change of pace from the endless E3 previews and action game reviews I have made my daily life. Cute girls doing cute things; that’s how the package was presented to me through screenshots and the usual marketing materials. Even the press release called it ‘bittersweet love between blossoming young ladies’. What was to happen was a roller coaster of feels that I could not have anticipated. If this were just a regular yuri love novel, I wouldn’t have paid it the time of day. Such stories certainly have a place in the medium, but my personal tastes tend to veer towards a story that has some unique features or goes where the reader least expects it. Nurse Love Addiction does the latter in such an extreme fashion that it almost feels out of place the first time you stumble upon one of the many bad endings. There’s something bittersweet about sharing the first kiss with your classmate and enjoy a tender, touching moment just before getting stabbed in the gut in a fit of jealousy. 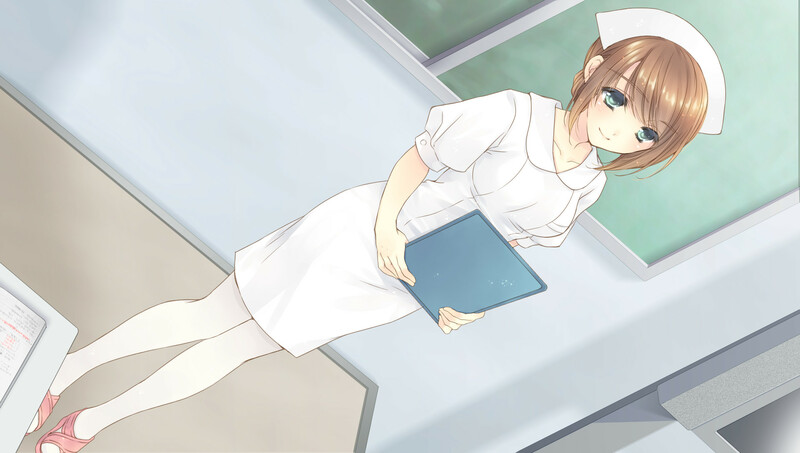 Performance-wise, there isn’t much to say about a visual novel like Nurse Love Addiction. There are no grand cutscenes or really anything with motion, save for the opening and ending animations. Everything else is conveyed through static shots and the occasional CGI to spice up the story. Much of the gameplay is hands-off, with player interaction popping up at a few crucial dialogue choices that will invisibly move the player into one of the dynamic final acts. Picking the right choices is essential, but there’s no indication early on whether the player is on their requested route, or even that they’re on track for a good or bad ending. Trust me, when you make it onto one of the bad endings, you’ll know. Nurse Love Addiction is a pretty comfortable visual novel to enjoy a lazy afternoon with or unwind in bed. I’m an advocate for any adventure that lets players tap their way through the story without having to use the buttons, as to not wake up my significant other during my midnight play sessions. Because of this, Nurse Love Addiction is great for one-handed play and silently tapping away on the Vita touch screen. If your experience with visual novels leans a little more towards the adult-oriented, Nurse Love Addiction won’t quite satisfy what you’re looking for. The love here is pure and simple, with only the occasional joke and trope thrown in to lighten up the mood. There might be a few moments that get the player hot under the collar, but there’s no content that players should be concerned about getting the game banned over. Visual novels certainly aren’t for everyone and even the great literary achievements of the likes of Steins;Gate still may not be enough to persuade gamers to jump into the genre. However, if you’re feeling up for a bit of light reading and want a clever little romance story with some dramatic endings, Nurse Love Addiction is a nice addition to your Vita library. Just remember, the feelings you have for those nurses in white might not always be of love. Reviewed on PS Vita (code provided by the publisher). Nurse Love Addiction might not do enough to bring in players who detest visual novels but there's an attention-grabbing story hidden beneath that white nurse's cap that simply won't let go.